It is December 2001 and Argentina is in political and economic meltdown. 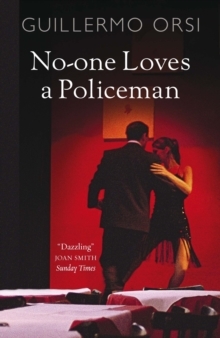 Pablo Martelli, once in an elite branch of the police force known to all as the 'National Shame', is a shadow of his former self, scraping by as a bathroom salesman. He cannot forget the enigmatic woman he met in a dance hall. She left him when she found out who he was working for, and he has never recovered from the blow. Late one evening, Martelli is summoned to a friend's coastal retreat. He arrives to find his friend dead and is drawn into a bewildering sequence of events, on an odyssey that leads him through vast, empty pampas, along endless highways and into ghost towns seething with danger and brutality, to the ailing heart of his country. Before long he is forced to uncover the truth of his past life. It is a dangerous confession: after all, no-one loves a policeman. 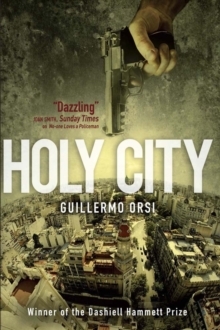 A highly original crime novel with a rich, dark humour, a host of extraordinary characters and plenty of smoking guns.